I love decorating with slips or liquid clays. 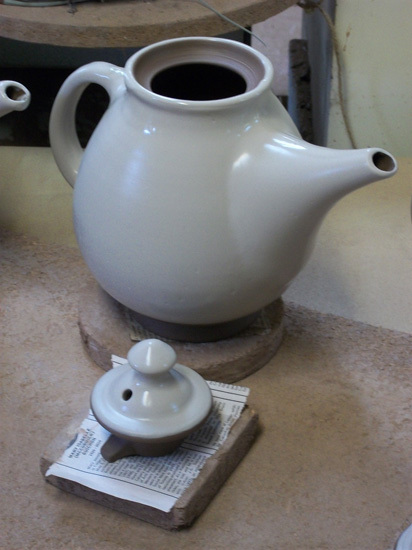 I have chosen a very traditional earthenware process; to decorate my pots before they have been fired. This has advantages and disadvantages. The big drawback is always being aware of the humidity in the air as this controls the drying of the clay. The pot is clay and the decoration is clay and both have to shrink at the same rate so they stick together. The advantage is that you get to decorate on the most luscious surface. 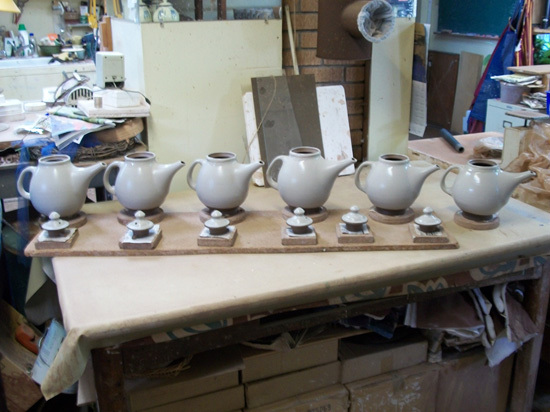 Take a look at these teapots. I have to let the surface dry a bit more before I decorate but isn’t that just so wet!